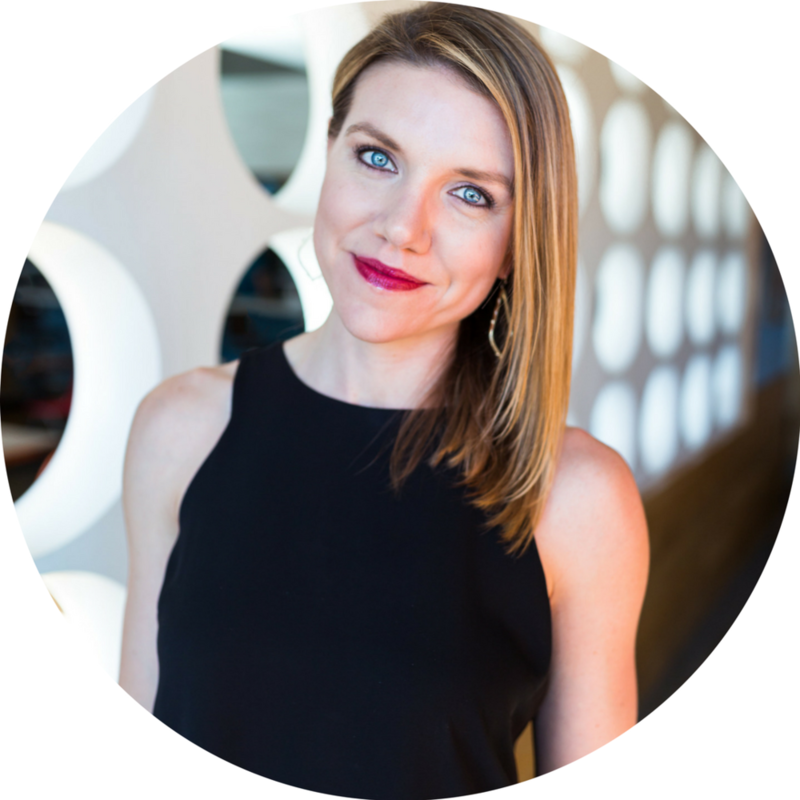 Hi, I'm Amanda; a marketer by occupation and a soul searcher, wellness-fanatic, coach, fitness lover, meditation student, and alcohol-free lifestyle advocate by passion. I'm on a journey to seek, live, and share my most authentic truth (and encourage you to do the same). Let me tell you, this journey is nothing like I thought it would be; yet it's all unfolded beyond my wildest dreams. I’m also a coach for young, ambitious women who identify as “social / normal / gray area” drinkers who want to accelerate their journey to living the life of their dreams. I’m a certified holistic wellness coach and have trained with leading experts to help support women who want to stop drinking or simply change their relationship with alcohol. It’s important to note: I’m not a recovery coach and the clients I work with aren’t looking for recovery. My mission is to be the coach I needed, but couldn’t find when I decided my relationship with alcohol was no longer serving me. It took me a long time to get to where I am today: fully comfortable, confident, and unapologetic about how wonderful life is without alcohol. I’ve done the work and put together a hell-of-a toolbox to help other women fast-track past all of the stumbling blocks I encountered navigating the world alcohol-free. My journey really began in the fall of 2015 when I took a leap of faith, followed my intuition (fueled by some darn good synchronicity) and left behind everything that had become familiar to me in my adult life. I was just a few months shy of the big 3-0 and something told me it was time for a change. I quit my job, sold my house and left behind my roots in the Midwest to come to Austin, TX. When I packed up shop, I knew the move would mean beginning again in many ways. I sensed that my journey to personal and spiritual growth would have a greater importance than it had been before. And I was right. While I've not been perfect in my pursuit to find self and know spirit, I've come a long way. I am committed now more than ever to living in the light, to honoring myself and standing in my truth and to healing myself so that I may help others to heal as well. I grew up in a tiny town in Missouri, raised by a single mom, struggling to take care of two kids. At a young age, I became acutely aware that I didn’t have the same family experience as many of my friends. Through school, I fought my hardest to fit in, determined not to let where I came from be a determining factor in my success. I tried hard academically and fought to be involved in activities like dance and cheerleading. As if adolescence isn’t already difficult enough, my attempts to “keep up” and “play normal” only made things harder. While this experience definitely made me a more resilient person; it also made me desperately resistant to vulnerability. College was a whole new world of freedom - a world where I could make my own identity; an identity not dependent on my background. I embraced this new found freedom wholeheartedly. However, I still held onto my invulnerability and began to struggle emotionally with lingering beliefs; stubbornly pushing them aside instead of actually dealing with them. While I was able to come more into my own in college, I realize now I was struggling fiercely to find my true self. Unfortunately, the broken version of self I was able to find at the time was a strange mixture of self-conscious, self-serving and self-absorbed. After graduating with my undergrad and masters, I thought I had it all figured out. I’d get a good job, settle down with the perfect guy, live the dream. Boy was I wrong. While I did lay the groundwork, my job was tremendously stressful (not to mention I was teaching night classes at the University to supplement my income) , my relationships didn’t quite go as planned and “the dream” closely resembled endless cocktail hours and working the admittedly harsh social scene in the city where I’d landed. All-in-all, living the dream was emotionally and physically exhausting. By the time I was in my late 20s, I was absolutely drained; feeling anxious, sad, stuck and lost all at the same time (before you roll your eyes at my "late 20s breakdown" remember, this is just the short version). It was about that time that a mentor suggest I read Dr. Wayne Dyer’s The Power of Intention. While I can’t say that it instantly turned my life around, Dr. Dyer’s teachings certainly opened me up to a new way of thinking and a new world of possibilities. The pieces started to fall into place: A major life change fell in my lap and spiritual teachers and wellness gurus started coming out of the woodwork in order to guide me towards a new way of being. Over the past few years, I’ve been on a journey of awakening, self-love and wellness. In a short time, I’ve learned so much about myself, happiness, friendship, health, abundance and what it means to truly live the dream. I've devoured spiritual texts, self-improvement books and motivational talks. I've practiced all types of yoga and meditation. I've researched and am constantly in the midst of doing "the work." Though I’m still learning, growing and striving for a much different dream, it is my true desire to bring others along on the journey. Through finding my own light, I’ve awakened a deep desire to help others find their own. I am passionate about mentoring and coaching others on spiritual, personal and professional levels as the Universe allows. In the meantime, I started this blog to share my journey with you. It is my firm belief that, if we are able to see our own struggle in the story of others, we can learn and heal through their experiences. I have been personally blessed to find this type of enlightenment through many mentors and teachers who have crossed my path. My hope is that my story serves you in some way as you embark on your own journey.